If you like historical routes and you like riding your bike in remote areas, this is a great ride for you. 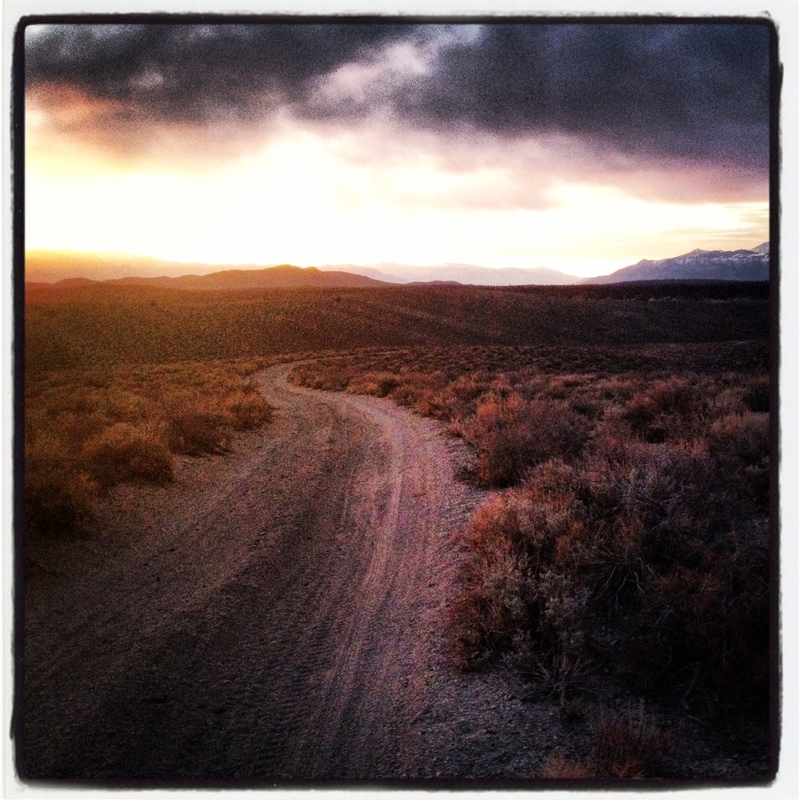 It takes you into the backcountry of the Bodie Hills, has you bushwacking through overgrown sagebrush, and route finding to stay on a portion of the abandoned Bodie Railroad that went to Mono Mills from the 1880’s until it was decommissioned in 1917. 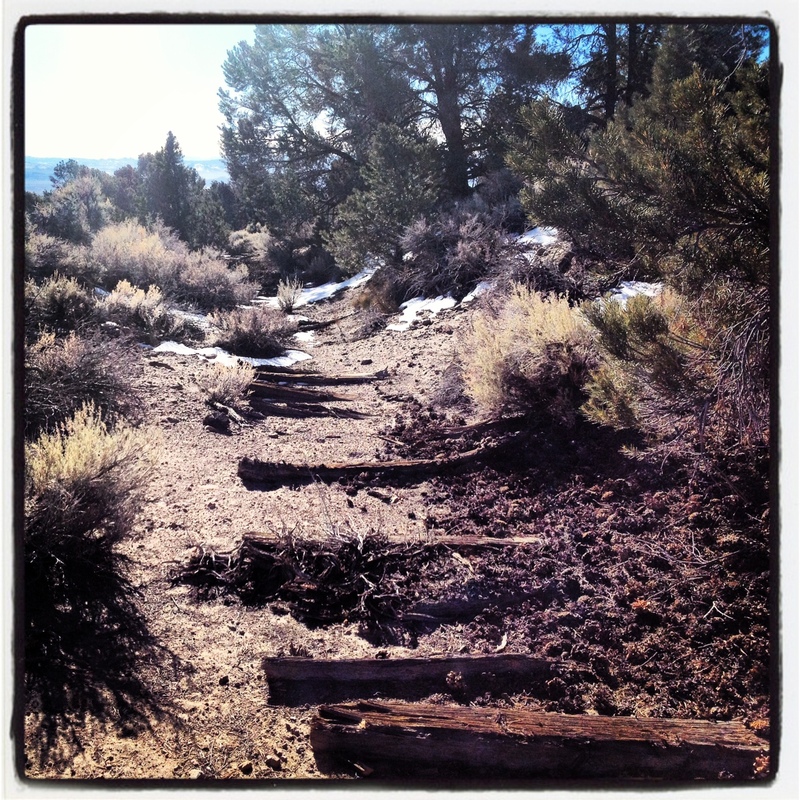 You’ll find traces of those mining days all along the route – old railroad ties, campsites, etc. Outstanding alpine vistas surround you as you climb the old railroad grade. 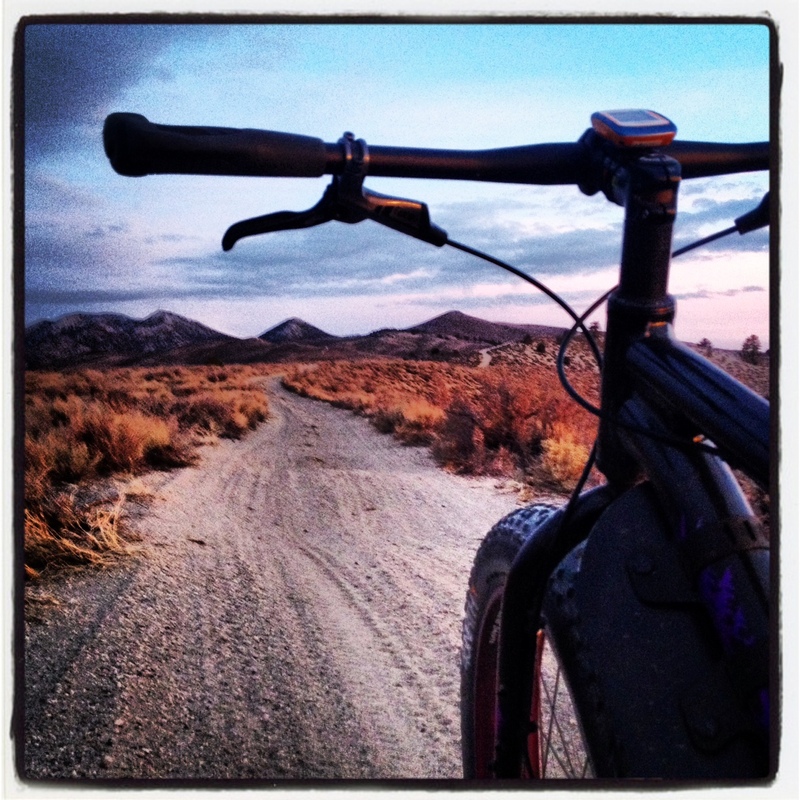 Eventually you make your way near the old mining town of Bodie before looping around and descending with fabulous views of Mono Lake and The Sierras. There is a fair amount of hike-a-bike, as this route is not maintained at all. There are also sections where the old trail is impossible to follow without incredible mapping skills (assuming you have the old maps with this route on it) or GPS. We highly recommend using a GPX track if you intend on attempting this ride- or else you’re bound to get turned around out there (contact us for GPX file). For a much more detailed account of this ride, photos, and an explanation of the railroad history, check out Alan Jacoby’s ride blog. 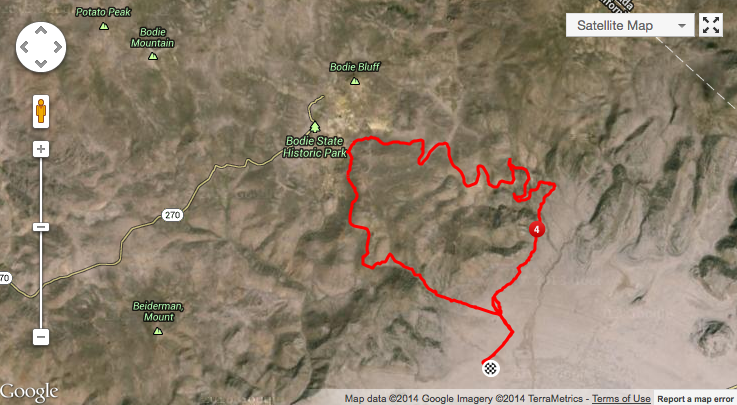 Terrain/Conditions: Old railroad trail and jeep/4×4 roads, usually pretty soft & somewhat sandy in parts. 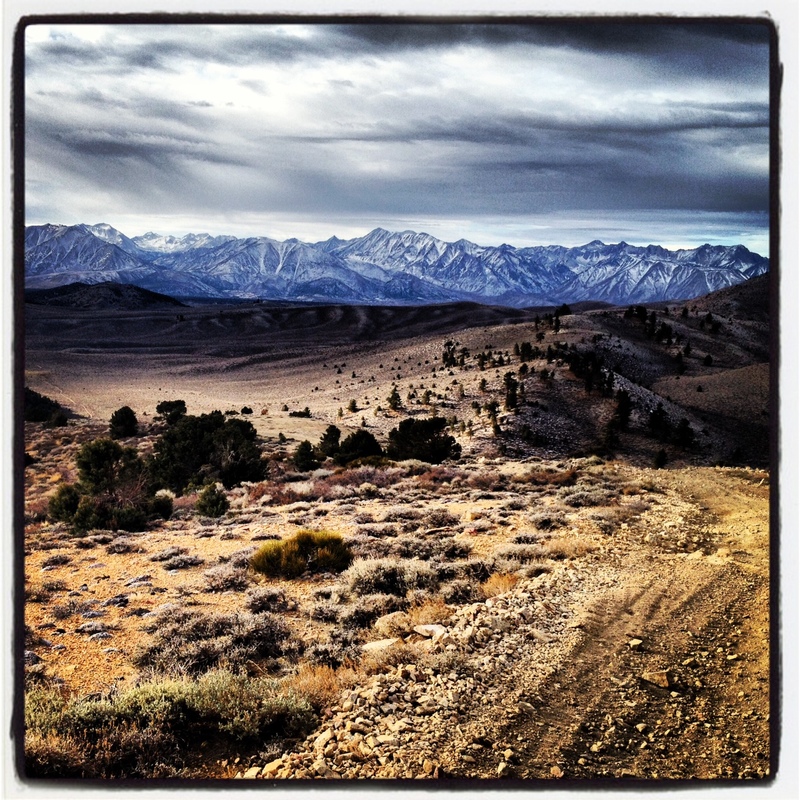 Access: From Mammoth, get to Highway 395 and head north for about 31 miles (6 miles past Lee Vining). Make a right on Hwy 167 (Pole Line Rd.) towards Hawthorne. After approx. 6 miles, turn left on Cottonwood Canyon Rd. After 1.2 miles, continue right at the T. After another 0.3 miles, veer right on Dobie Meadows Rd (a well-maintained dirt road). 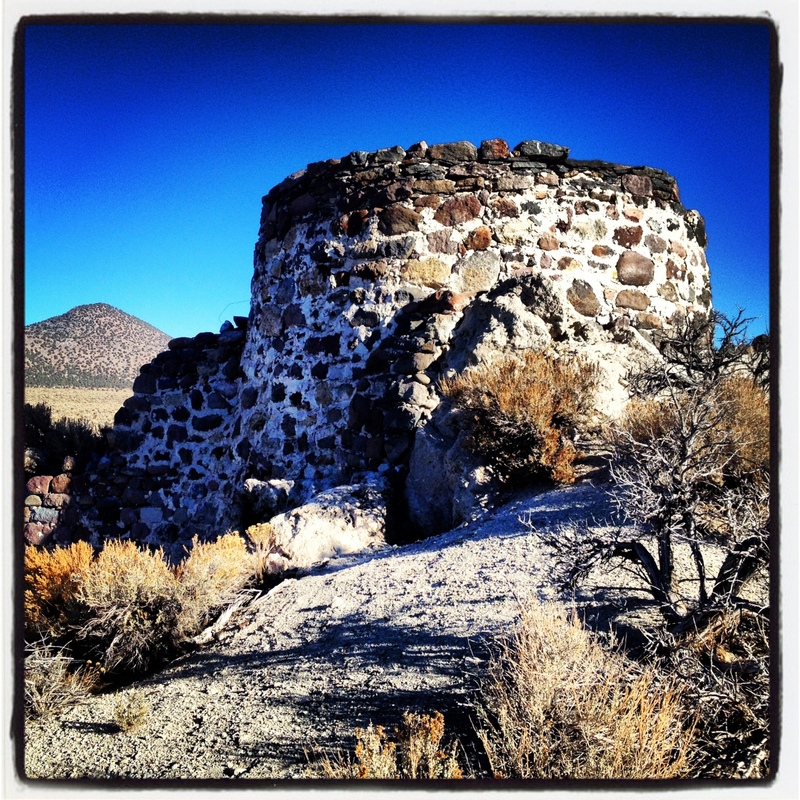 Take this road for 5.9 miles, and park at the Lime Kiln (see photo below). We are not including Turn by Turn directions for this ride. It is way too complicated and the nuances of staying with the very faint rail trail demands the use of a GPX track. 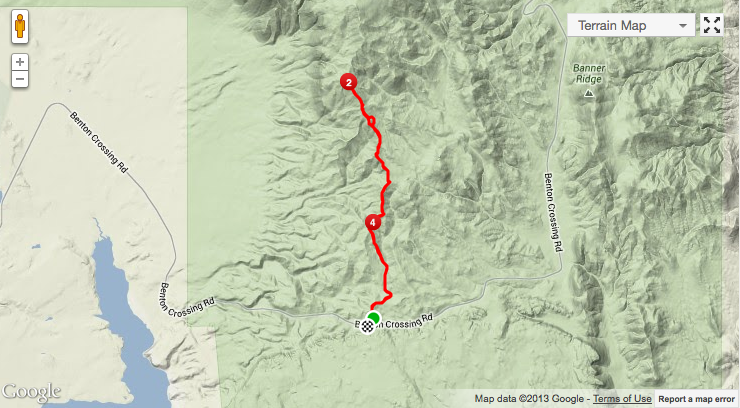 If you do not have a device that can upload and follow a GPX track, we would not attempt this ride. Also, we would not recommend doing this ride on your own – bring a friend. The old Lime Kiln. This is where the ride starts and ends. Eric Hunter, enjoying the ride on his Fatty. Old remnants from the railroad. This ride is not for the faint of heart. It will test you. With that caveat, it’s an awesome ride!! The first portion is identical to the Glass Mountain Ridge Lookout Ride. If you’re not feeling it, the “Lookout” is a great place to turn around. Not that we’re trying to promote bailing early, but we just want you to make sure you’re committed before embarking on the complete route. It’s remote and taxing, so be prepared. Now – the knitty gritty. The ride starts at the Watterson Divide (junction of Benton Crossing Rd. and Owens Gorge Rd). As you start heading north up Glass Mountain Ridge, the views to the west have you craning your neck to Crowley Lake, Laurel Mountain, Bloody Mountain, Mammoth and all that glory. As you keep grinding your way up, you reach a spot called “Four Trees”. I don’t know why, I’ve never understood. Maybe at one point, there were four trees here? Anyhoo – keep grinding up the ridge. As you stop to catch your breath on top of one of the many knolls, you can look back to the south for more magical views. This portion of the ride is filled with steep, short climbs that have you bursting (or hiking) up sandy jeep roads. You gain a lot of elevation over a short time, so enjoy the mellow first couple miles to warm up. 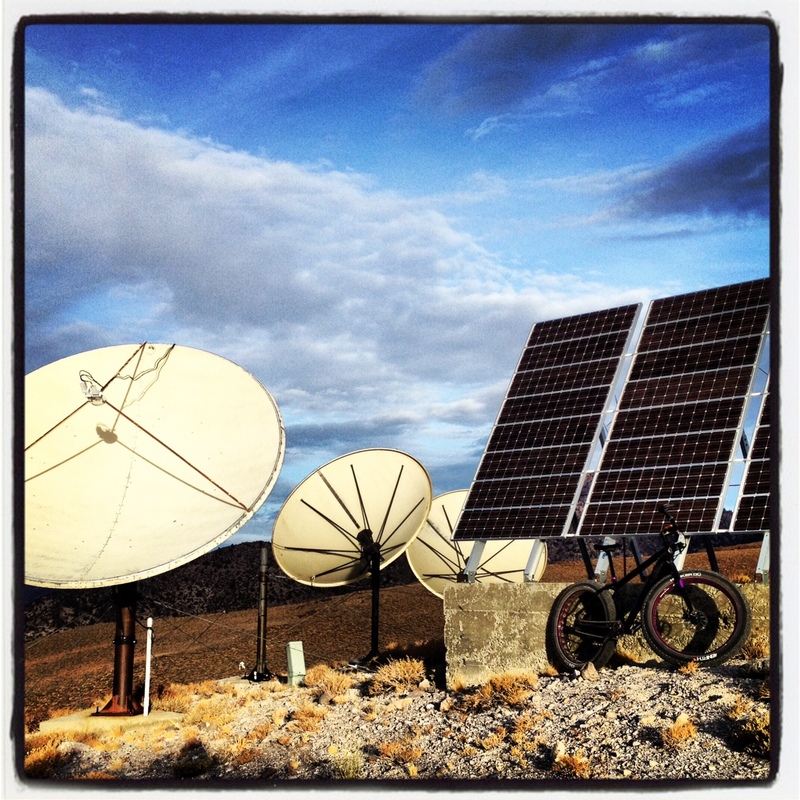 Eventually, after passing by some satellite dishes and solar panels, you start to traverse around Squaw’s Teet (not named on many maps – but locals know it). Once on the other side, views to the east open up. The White Mountains will have your jaw dropping as you slink across Wildrose Canyon and drop into the Clover Patch. To me, this is the most magical part of the ride. Enjoy the relaxing cruise through the valley before heading back to “Four Trees” and eventually back to your car. Terrain/Conditions: Jeep/4×4 roads, usually pretty soft & somewhat sandy in parts. 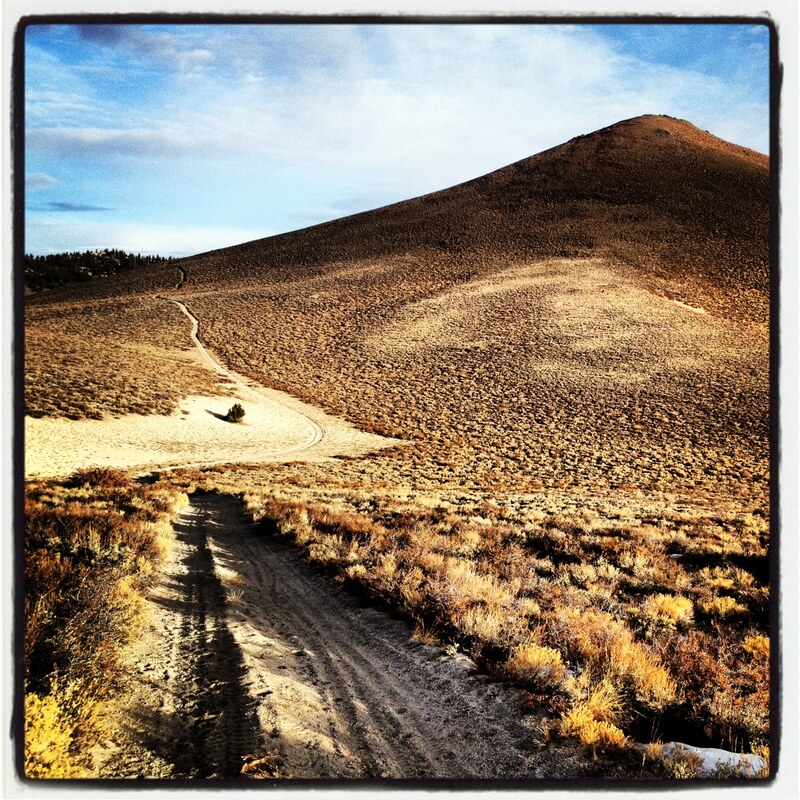 Access: From Mammoth, get to Highway 395 and head south for 6 miles. Reach the “Green Church” and make a left on Benton Crossing Rd. Drive 15 miles to the intersection of Owens Gorge Rd. (4S02). Park here, in the dirt off to the right. From your car, cross Benton Crossing Rd. and start riding northeast. 5.56- reach the top of the Knoll #5, and what we call the “Lookout”. At this point, you’ve climbed about 1,600′ and this marks the turnaround of the Glass Mountain Ridge Lookout Ride. Take some photos here and grab a breather. Once you’re ready descend to ribbon of trail that leads towards the satellite equipment. 6.04- veer left and wrap around. This trail has a more gradual climb, and great views of Wilfred Canyon. 6.46- reach the satellites. Keep climbing! 8.5- right at the junction. you’ll climb a short bit, get a beautiful view, and then start on a bomber descent – be stoked, a majority of the climbing is now done. 12.0- go right at the junction. You’ll soon drop down into the Clover Patch. 14.5- continue straight – You’ll have a great view of “Four Trees” – a great landmark to get your bearings. 15.3- right at the T. Now you’re following power lines back to “Four Trees”. 15.9- go left and climb up to “Four Trees”. From here, retrace your steps to arrive back at your car at 19.2 miles. Sunrise view to the southeast. Here we go. A subtle climb early in the adventure. A cairn on display at the “Lookout” of Glass Mountain Ridge. Looking up to Squaw’s Teet (right) and Robert’s Roost (left) from the “Lookout” on Glass Mountain Ridge. Taking a break at the satellite dishes. 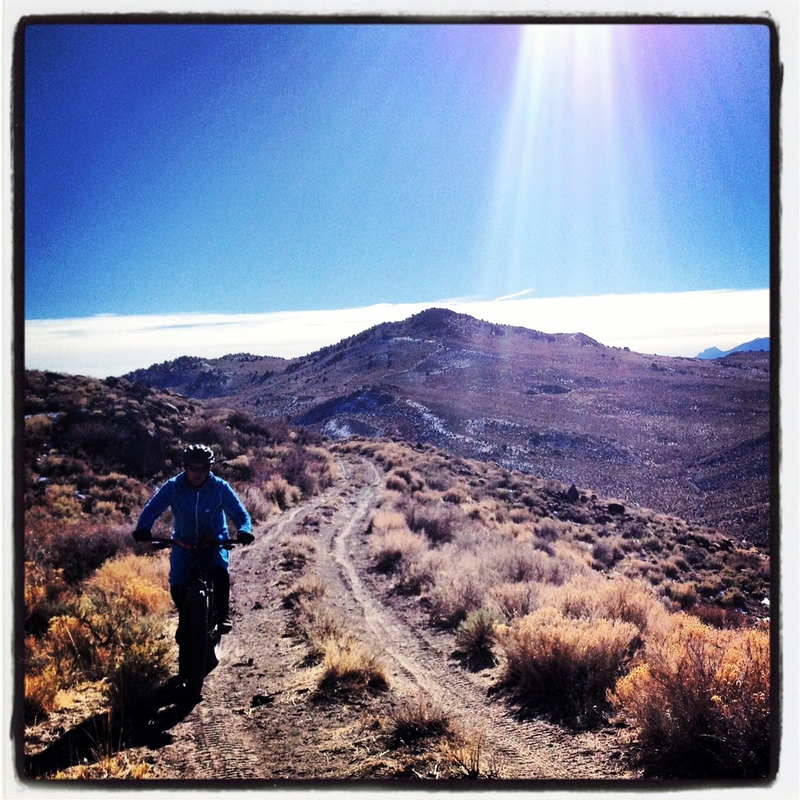 About to start traversing around Squaw’s Teet. Heading towards Wildrose Canyon and Clover Patch with the snow-sprinkled peaks looming in the distance. Taking a break in the Clover Patch. Clover Patch Loop – Elevation Profile. The ride starts at the Watterson Divide (junction of Benton Crossing Rd. and Owens Gorge Rd). As you start heading north up Glass Mountain Ridge, the views to the west have you craning your neck to Crowley Lake, Laurel Mountain, Bloody Mountain, Mammoth and all that glory. As you keep grinding your way up, you reach a spot called “Four Trees”. I don’t know why, I’ve never understood. Maybe at one point, there were four trees here? Anyhoo – keep grinding up the ridge. As you stop to catch your breath on top of one of the many knolls, you can look back to the south for more magical views. 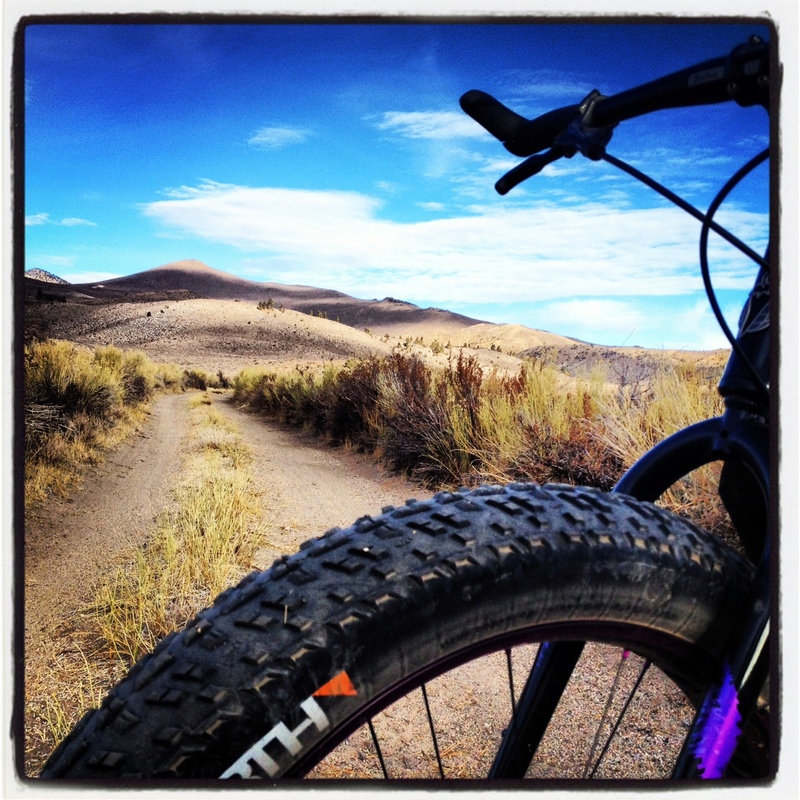 This portion of the ride is filled with steep, short climbs that have you bursting (or hiking) up sandy jeep roads. You gain a lot of elevation over a short time, so enjoy the mellow first couple miles to warm up. 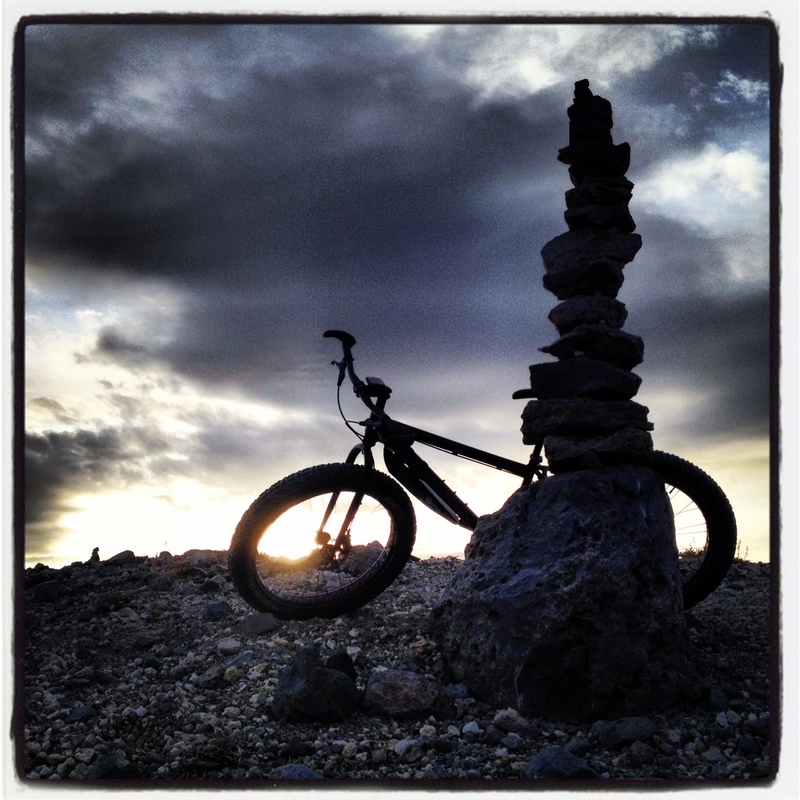 Eventually, you reach the “Lookout” which is usually marked with some cool cairns (unless a jackass knocks them down). This ride is a great to whet your palette for the surrounding area. 5.56- reach the top of the Knoll #5, and what we call the “Lookout”. 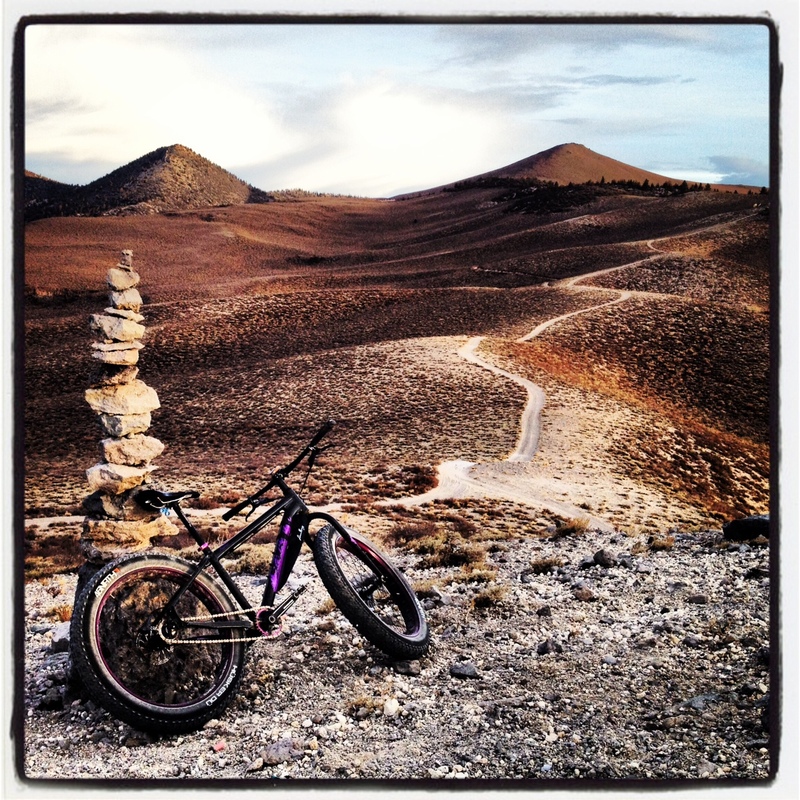 At this point, you’ve climbed about 1,600′ and arrived at the high-point of the ride. Take some photos here and grab a breather. If you’re feeling super-human, you can continue on to the Clover Patch Loop. Otherwise, turn back and retrace the way you came up. 7.95- Reach the top of “Four Trees”. After this annoying little grunt, it’s mostly downhill from here. This trail has a more gradual climb, and great views of Wilfred Canyon. 11.2- reach you car. Done! ou’ll soon drop down into the Clover Patch. 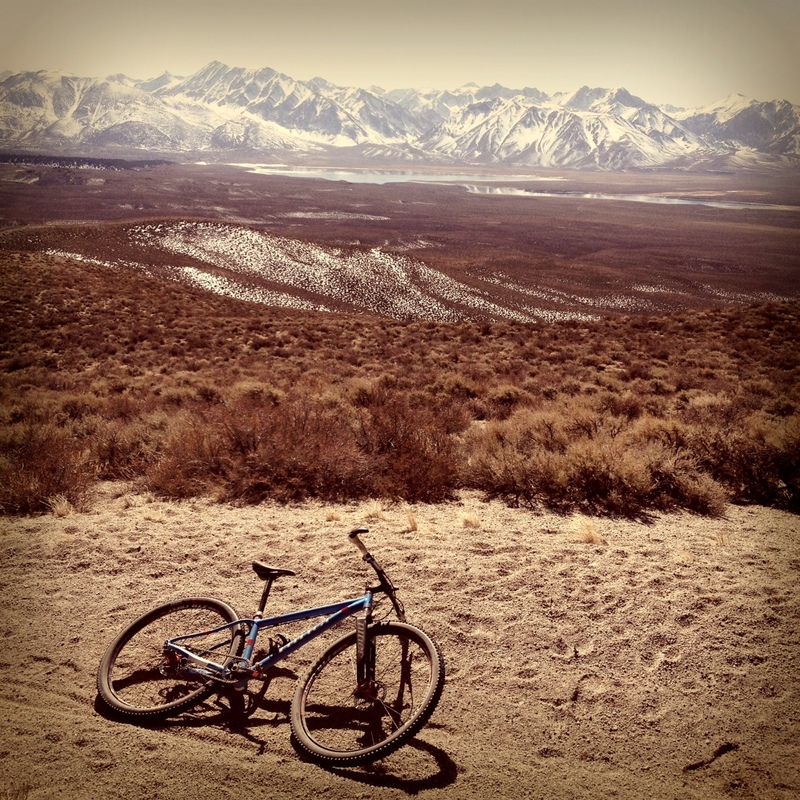 Taking a break to check out views of the Sierra behind Crowley Lake. 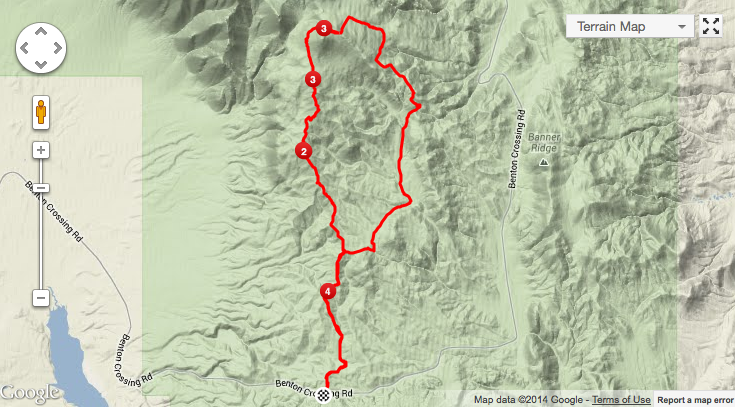 Glass Mountain Ridge – Map. Glass Mountain Ridge – Elevation Profile.